How do I delete a Client Job? I created a client job in an ongoing project for this client. Now I want to delete this job but I can't becasue the "delete" button is inactive. 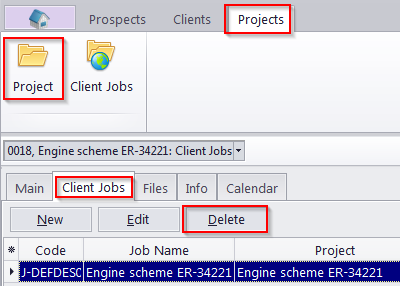 Client jobs can only be deleted from the "Client jobs" tab of the specific project's window.